The markets of Latin America are much like the rest of the country: colourful, energetic and brimming with excitement. They are, for many, an often-unexpected highlight of a South America holiday. This is because few imagine before visiting the vibrant and bustling markets that something which seems like it should be so mundane can in fact be so spectacular. 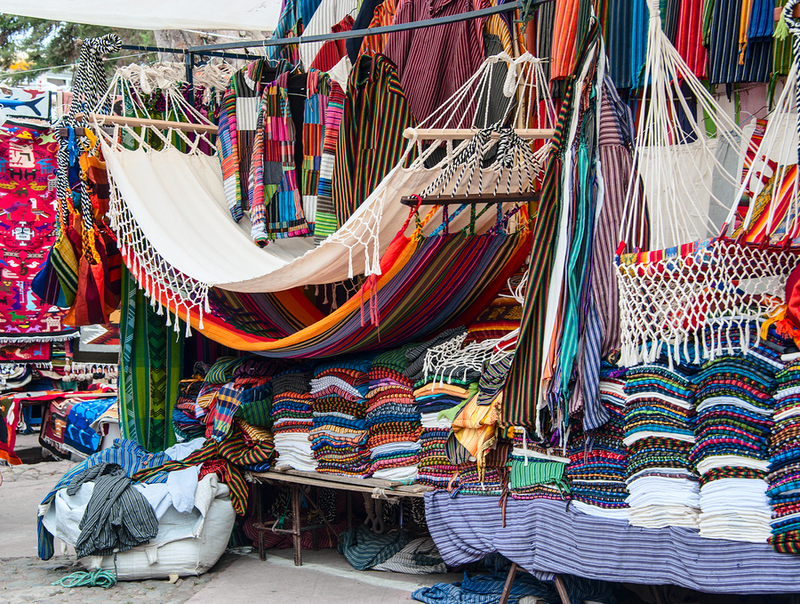 There’s perhaps no better example of this than the world-famous Otavalo Market, which is an incredible showcase of local creativity and ingenuity, offering goods ranging through everything from textiles and handicrafts to food and musical instruments. It serves as a meeting place for the thriving community to converge and an amazing way to get a truly authentic Ecuador holiday experience. However, as is often the case when going somewhere new, getting the most out of your market experience often depends on knowing a little bit of background information, as well as where the best places to go are and when is the ideal time to visit. So, with that in mind, we’re going to take you through the things you need to know to make the most out of your trip to the wonderful Otavalo Market. 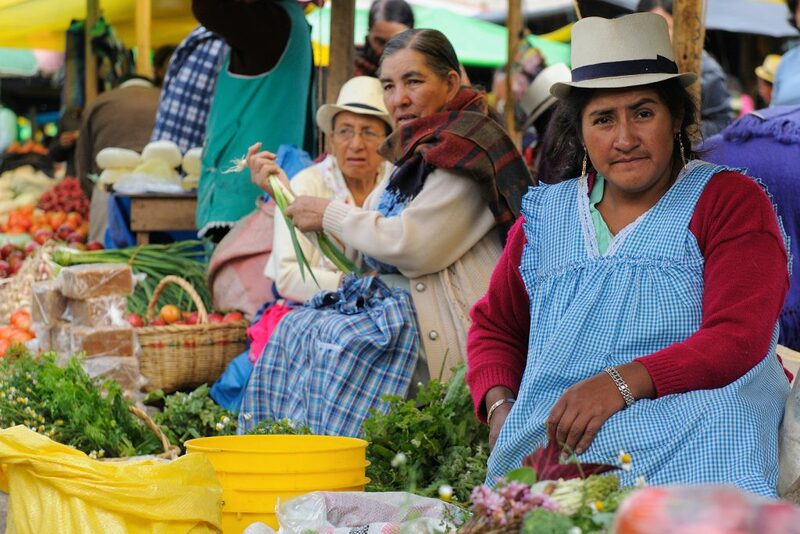 While the Otavalo Market is open every day, the best time for you to visit largely depends on what you’re looking for. In this part of the world, the idea of the ‘market day’ is still very much a way of life. Essentially, this is when people go to stock up on everything they need for the week. For most people, this takes place on a Saturday, but Wednesday can be very busy as well. So, if you want to fully immerse yourself in the market day experience, then this may be your best option. However, if you want a more laid-back visit, then other days will still provide a great day out. One downfall to going to Otavalo on market day is that the busy crowds make the market an ideal target for pickpockets, especially if it’s obvious that you are a tourist. 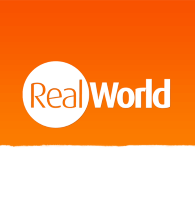 A lot of visitors avoid going on these days altogether for that reason. That isn’t to say you necessarily should avoid visiting on the busier days though but do be vigilant if that’s when you decide to go. Otavalo Market is also known as Plaza de los Ponches and Centenario Market locally, so if you ask about the market and hear these names, that’s what is being referred to. Otavalo is located over 2,500 metres above sea level and this, as you can image, will have some effect on people who are sensitive to altitude sickness. Most people don’t consider this an issue and don’t notice it but do keep this in mind if you know you are affected by heights. This is also something that should be noted on many South America tour excursions too, not just in Otavalo. This height also has an impact on how you should dress. Due to its location, the climate in Ecuador’s Andes doesn’t change all that much and is reasonably mild most of the time. However, the sun does shine incredibly brightly despite the moderate temperatures due to the elevation. With that in mind you should always apply the appropriate protection from the sun in order to stay safe, even if you don’t think it’s necessary. 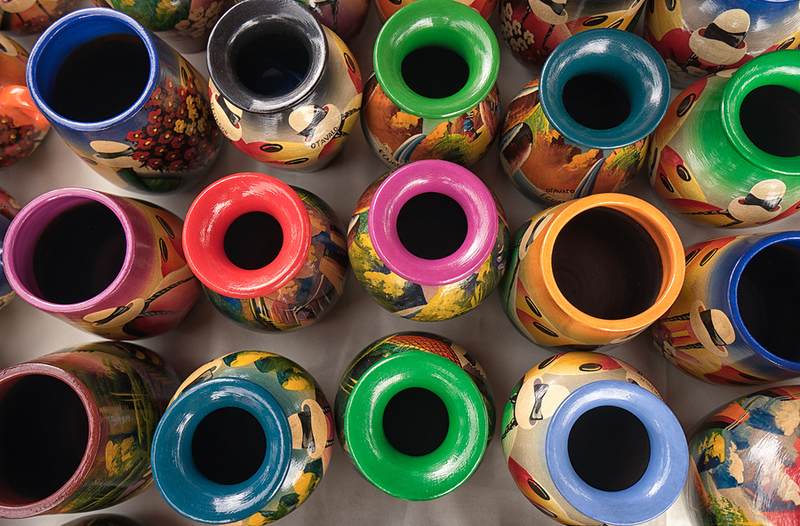 Considering it is known as an artisan market, a lot of people assume that everything being sold at Otavalo Market is custom made by an artist. However, that is not always the case, as there’s plenty of commercial products to purchase as well. This isn’t a problem: in fact, it only increases the amount of shopping options available. That being said though, do be aware of what you’re buying to avoid being disappointed. There are plenty of great artisan products here, just exercise some healthy scepticism before you buy.